FRANCE – DanoneWave, a company merger between Danone and White Wave Foods, the American company for packaged food and beverages has been rebranded to Danone North America. Danone completed the acquisition of White Wave Foods for estimated US$12 billion cash in April last year, combining activities in North America to form DanoneWave. 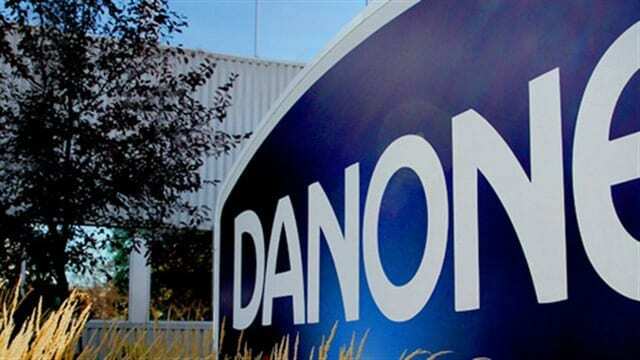 The company also announced that Danone North America and Danone Canada have achieved B Corp Certification, covering 30% of Danone’s global business. B Corp Certification which Danone said came much earlier, 2 years before target; indicate the company’s commitment to ensure success of its business across borders as well ensuring sustainable development. The certification makes Danone North America the largest certified B Corporation in the world while Danone Canada becomes the largest consumer-facing Certified B Corporation® in Canada. The two certifications bring a total of eight Danone entities that have achieved the B Corp certification, that is, Les Prés Rient Bio- Danone’s subsidiary in France, Spain and UK, Happy Family in the U.S., Aguas Danone de Argentina, and AQUA in Indonesia. With about 30% of Danone’s global business achieving B Corp certification, the company is then able to trade as a successful multinational business while ensuring social and environmental progress. This strategic step concurs with Danone’s endeavour ‘One Planet One Health’, reflecting its vision that ‘our health is connected with and interdependent on the health of our planet’. “People rightly expect large organizations like Danone to use their scale for positive impact. We do not take this responsibility lightly. B Corp certification is one measure that provides consumers, investors and other stakeholders with a robust framework to assess whether the company they support is having a positive impact on society and the planet. As a company with annual revenue of approximately €25 billion and more than 100,000 employees across 120 countries, our progress towards global B Corp certification proves that profitable and sustainable business is possible, no matter how large your business is,” said Danone Chairman and CEO Emmanuel Faber. For a company to achieve B Corp certification, it must prove it is doing business in a way that meets standards of social and environmental performance, transparency and accountability. To achieve this Danone has been working closer with B Lab, a third-party certifier of the B Corp program in addition to accelerating growth of the B CorpTM movement into the mainstream. The company said that it intends to become B Corp Certified across all its subsidiaries.